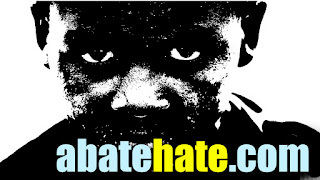 DAILYKENN.com -- Criticizing immigration constitutes hate speech, according to the globalist left, and should be illegal. 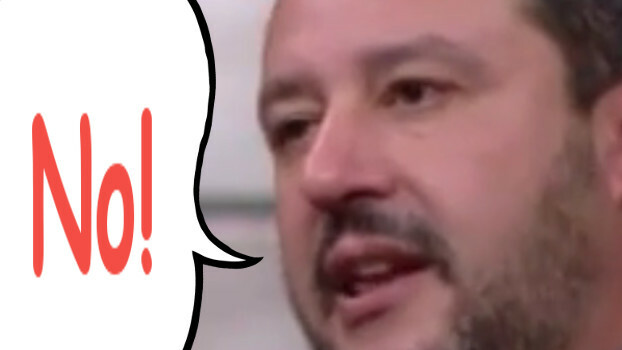 Sane nationalists, including Italy's Matteo Salvini, are pushing back. The UN Global Compact for Migration which takes place next week aims to set out universal rights and conditions for migrants. But one Member of the European Parliament has pointed out that if the paper is adopted as it stands then even criticising the idea of migration would be a crime. Italy has taken a tough line on the appear and is refusing to attend. In a statement on behalf of the Italian government he said: "The migration pact is a document that deals with issues and questions our citizens are concerned by. Mr Conte’s announcement came minutes after anti-immigration interior minister Matteo Salvini had spoken against going to the UN meeting. 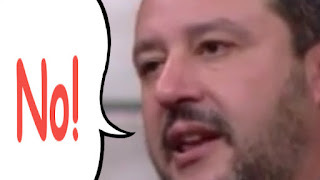 The intervention of the right-wing Lega leader sparked the outrage of PD, Italy’s main opposition party, which accused Mr Salvini of walking away from a decision that had been already taken. Mr Conte had previously spoken in favour of the UN pact and seemed keen to follow through his predecessor Paolo Gentiloni’s promise to sign it. When your defense of something requires making it illegal to criticize it, you are admitting it can't withstand scrutiny. It must be forced on people by penalty of law no matter the harm it causes. To point out that harm, no matter how painfully obvious it is, makes someone a criminal, isn't that like building a wall to keep people from fleeing your tyranny.